a) What Are the Key Issues? b) How Sacred Is Human Life? Few issues divide our Country as thoroughly and emotionally as abortion. R.C. 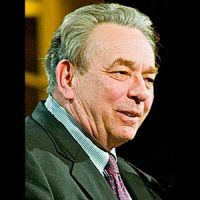 Sproul believes that a well-reasoned approach should prevail, as we seek to understand this ethical dilemma. He cuts through the emotion that surrounds the debate by examining both sides in the light of Biblical law, civil law and natural law. This series helps to nurture an intelligent and compassionate Biblical position.